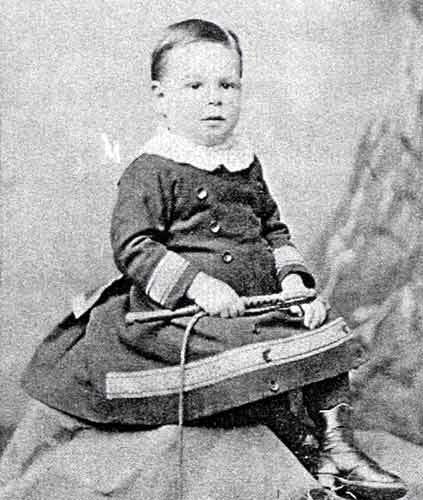 RALPH WALDO EMERSON DONGES was born in Donaldson, Schuylkill County PA to Dr. John Washington Donges and his wife Rose Marguerite Renaud Donges on May 5, 1868. 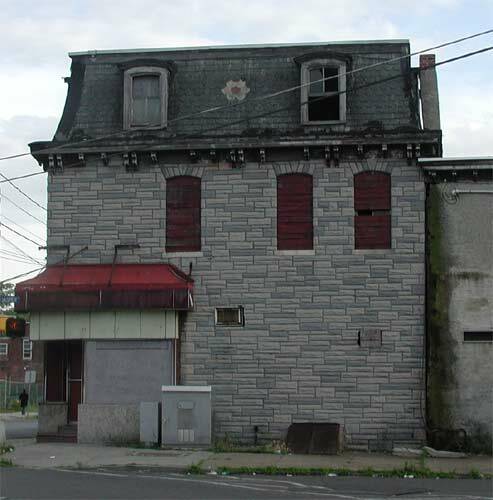 His father was a graduate of the University of Pennsylvania who practiced medicine in Pennsylvania before coming to Camden NJ. His mother was born in France. 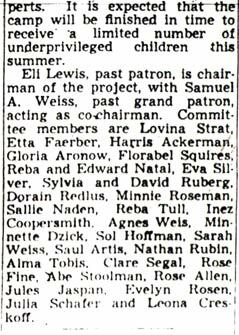 Ralph Donges was the second of five children, coming after Clarence and before Miriam, Raymond, and Evelyn Donges. 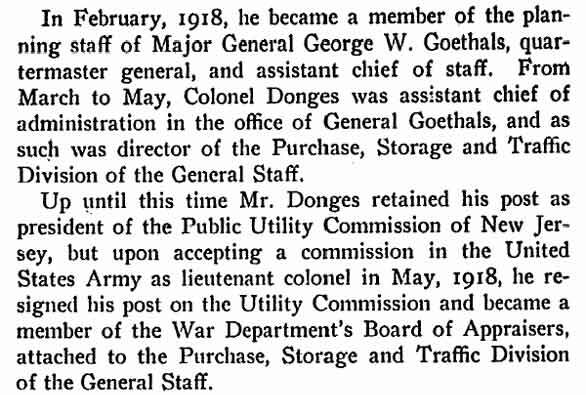 Dr. John W. Donges moved his family to 1801 Broadway in Camden in 1875. 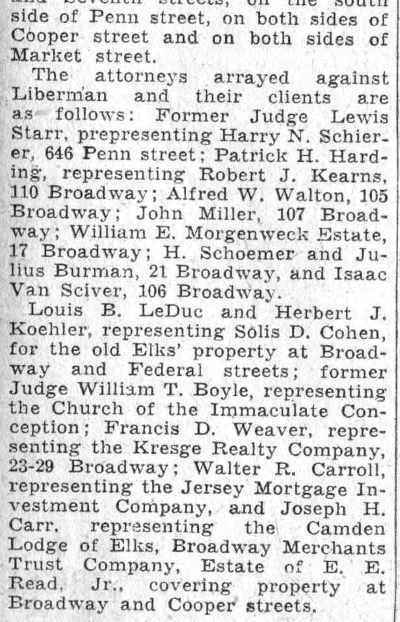 The family remained there until the mid 1890s, when they lived at 525 Broadway. By 1920 Ralph W.E. 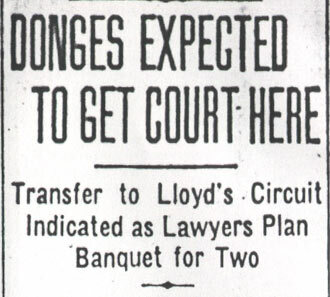 Donges and his parents had moved to 805 Cooper Street. 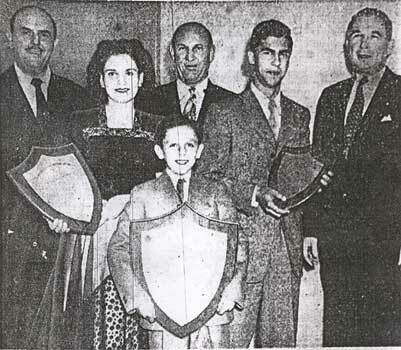 After seeing John W. Wescott try a case at the Camden County Court House, Ralph Donges prevailed upon his father to allow him to study law. 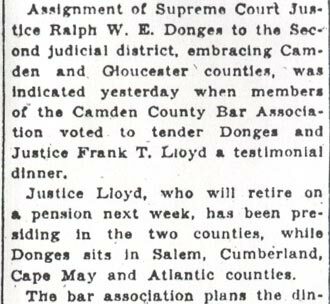 After studying under Wescott, who went on to a long and distinguished career as a judge in Camden, Ralph Donges went into the practice of law, and practiced alongside older brother Raymond R. Donges, who had passed the bar in 1895 after studying with Judge Howard Carrow. The orphanage the Moose opened up in 1913 is the Mooseheart Child City and School, a residential childcare facility owned and operated by Moose International. Located on a 1,200-acre campus 38 miles west of Chicago, the Child City is a home for children and teens, from infancy through high school. 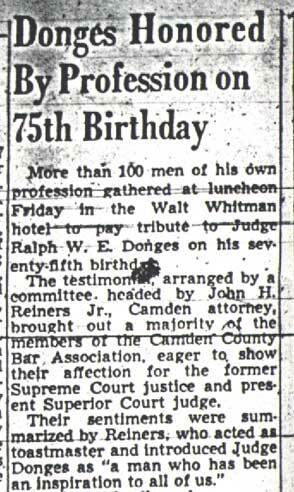 Ralph Donges was still practicing law in Camden when the United States entered World War I. 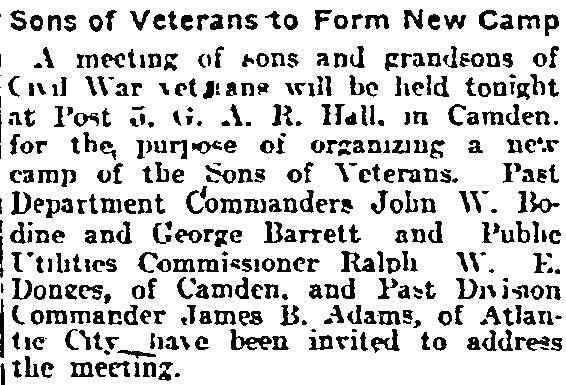 Along with brother-in-law Dr. Grant Elmer Kirk, he served on the Camden City Draft Board. 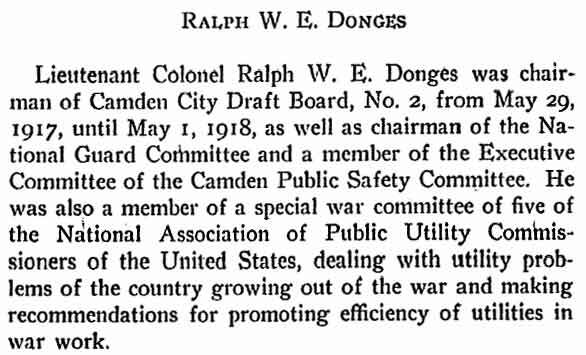 Ralph Donges also was a member of the Public Safety Committee before being called to service in May of 1918 in the United States Army during the war, rising to the rank of Lieutenant Colonel. 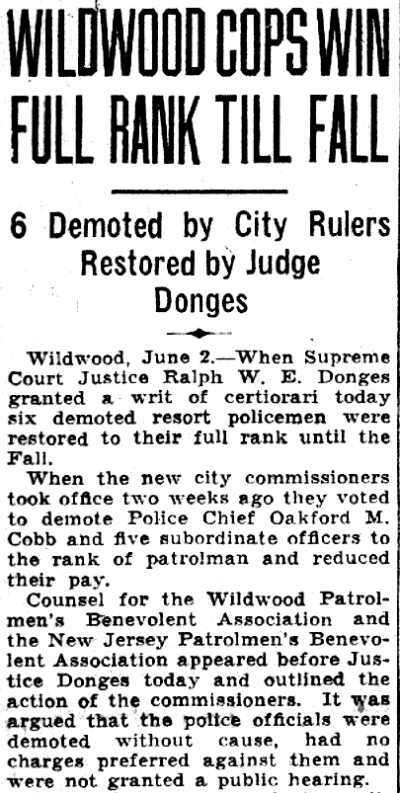 After the war Ralph Donges served as a judge in the New Jersey legal system, first as a circuit judge from 1920 to 1930, then as an associate justice of New Jersey state supreme court for 18 years, from 1930 to 1948, and finally as a superior court judge from 1948 through 1951. 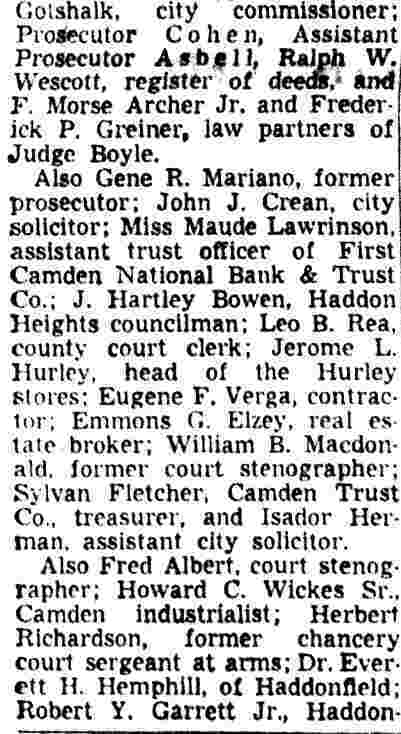 He also was involved in banking, and was the first president of the South Camden Trust when it opened for business at Broadway & Ferry Avenue on April 2, 1921. 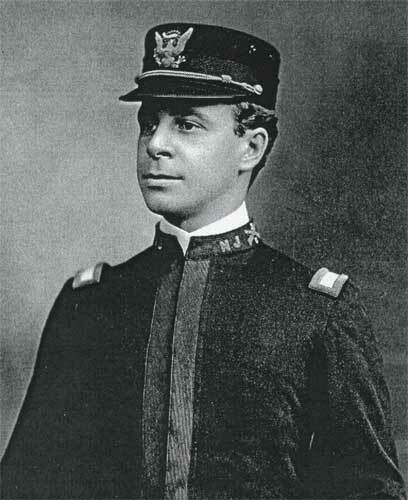 Ralph W.E. 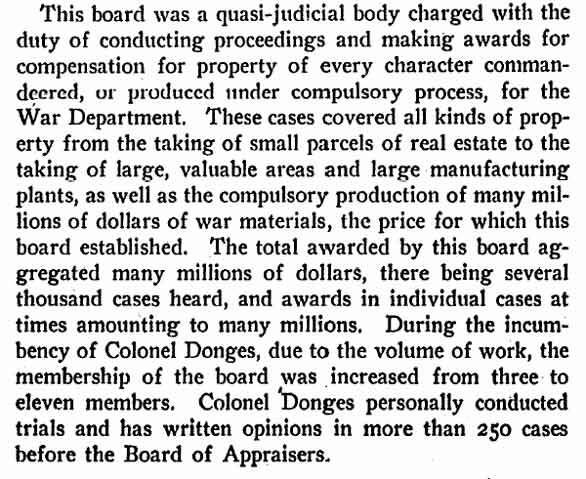 Donges was a member of the American Bar Association, the Freemasons, the Elks; and Moose. 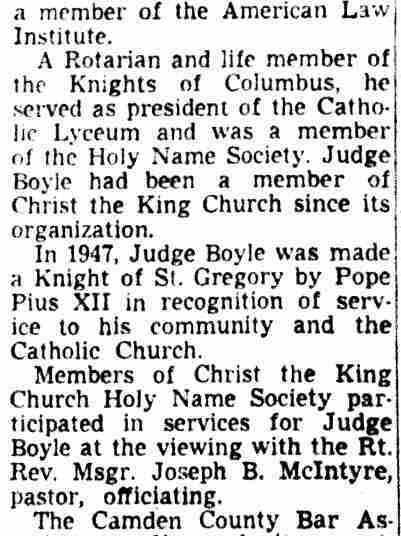 During the later years of his life he made his home in Oaklyn NJ. 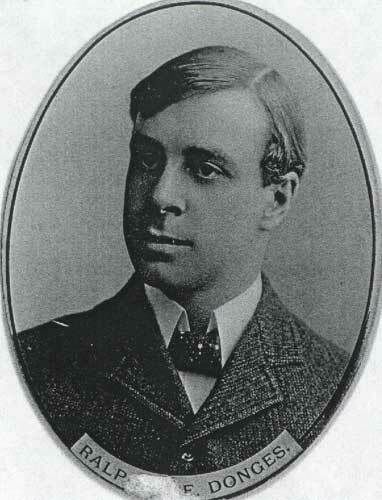 Ralph W.E. 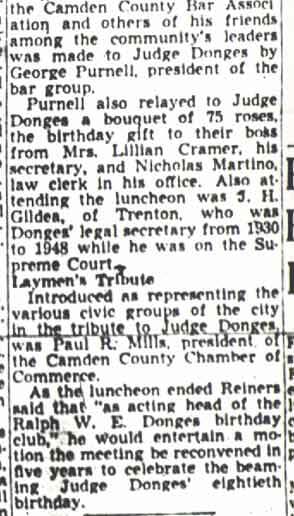 Donges passed away in September of 1974. He was entombed in the family mausoleum at Harleigh Cemetery, Camden, NJ. 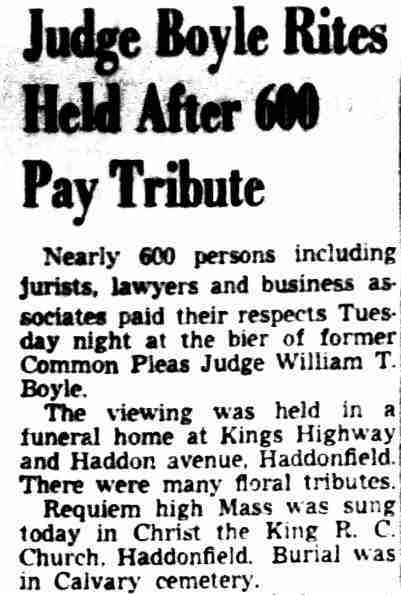 After his death in September of 1974, the Honorable Ralph W.E. Donges Memorial Scholarship Award, an annual scholarship of $1,000 to be given an evening student at any of the following law schools: Rutgers-Camden, Rutgers-Newark, Seton Hall, Penn, Temple, Villanova, or Widener, was established. Applicants must demonstrate a bona fide intention to practice law in Camden County. Applicants also should demonstrate genuine financial need as well as scholastic achievement. 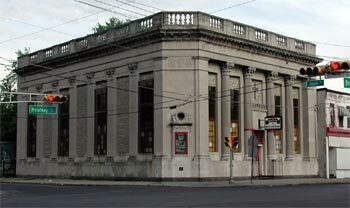 Designed by architect Joseph Hettel. Hearing in the suit of a city fireman demanding from a Camden manufacturer $200,000, alleging alienation or his wife’s affections and defamation of his character was scheduled to start before Judge Ralph W. Donges and a jury in Camden Circuit Court late this afternoon. 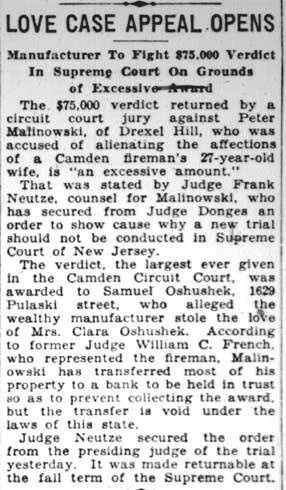 Samuel Oshushek, 30 years old, 1639 Pulaski Street, asks $150,000 for the loss of his wife’s love, which he says was stolen by Peter Malinowski, 47 years old, of Drexel Hill PA, proprietor of a concrete block factory at Mt. Ephraim Avenue and Decatur Street, Camden. The fireman also seeks $50,000 for reflections alleged to have been made against his name and character by Malinowski. Oshushek further alleges that before his wife’s purported elopement, she received letters from the manufacturer in which the latter attacked the character of the fireman. 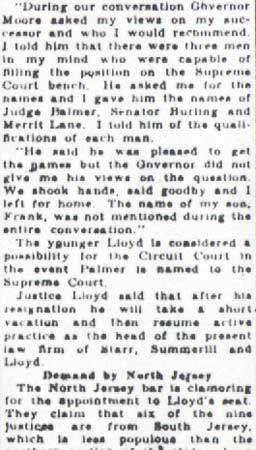 Police court records show that the wives of the two men engaged in a quarrel on March 30, 1927 and came to blows. 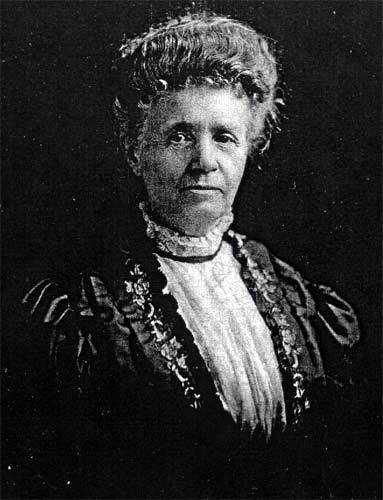 When a date for hearing was set, Mrs. Malinowski did not appear in court. She afterward the told police that her husband had beat her so severely that she could not appear. Mt. Holly, June l.-V. Claude Palmer, law partner of State Senator Clifford R. Powell, today took the oath as a judge of the New Jersey Circuit Court. 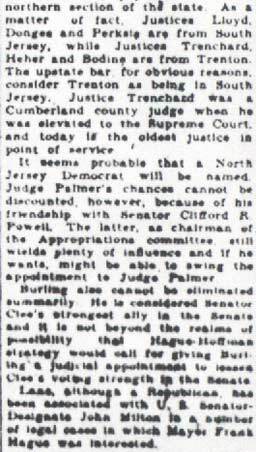 Palmer was sworn In by Supreme Court Justice Ralph W. E. Donges before some 200 persons assembled in the old Burlington county Court House. 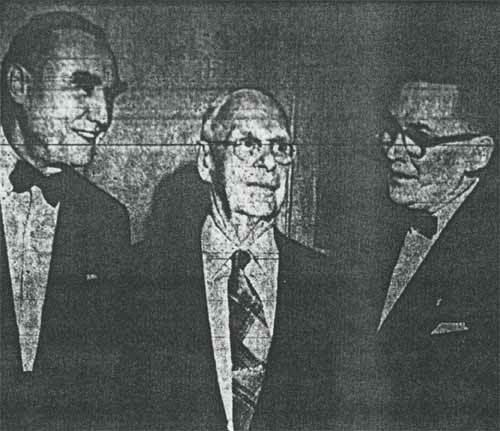 Among those present, in addition to Powell, were Prosecutor Howard A. Eastwood; Judge Charles A. Rigg, of Common Pleas and County Probation Officer Frank Hendrickson, all of whom made brief speeches. Eastwood welcomed Palmer to the bench in behalf of the county bar association, declaring that Burlington County has lost an attorney who "has been our ideal for years." "We know he has the ability and are proud that he has been elevated to this honor," said the prosecutor. 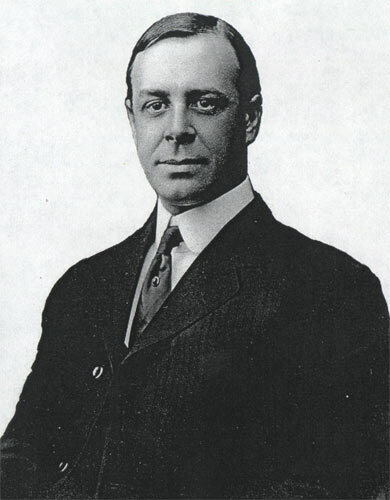 Justice Donges declared he has known Palmer for years as an able lawyer. Palmer said he would exercise his best powers to carry out the high trust of his office. Twice reprieved, Louis Fine, convicted trunk slayer, is to die next Monday night In the electric chair at State's Prison in Trenton. 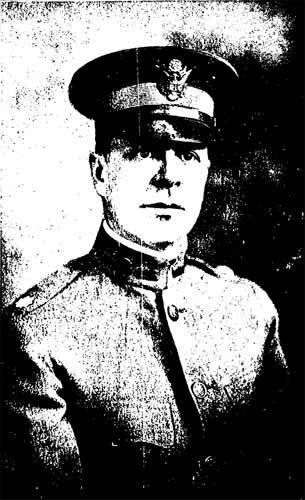 Fine's execution was set by Governor Moore for the week of June 11 and yesterday Col. Edward B. Stone, principal keeper at State's Prison, selected Monday at 9 p.m,. as the time for the electrocution. 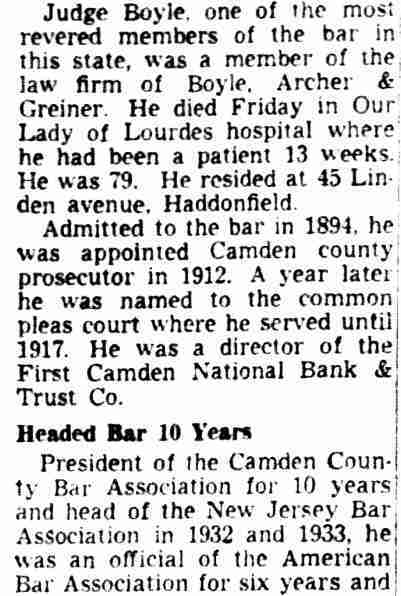 Convicted by a jury in an Atlantic County Criminal Court June 9, 1932, of the murder of Mrs. Mattie Schaaf, 60, Atlantic City housekeeper with whom he lived, Fine and his attorneys have exerted. every effort to keep him from the electric chair. Both the Court of Errors' and Appeals and the Board of Pardons refused to commute the sentence to life imprisonment or grant the convicted man a new trial. On application of John Rauffenbart and Edward B. Feinberg, Atlantic City attorneys. Governor Moore granted a reprieve from execution scheduled for April 28 last so that a final test of Fine's mentality could be made by alienists. 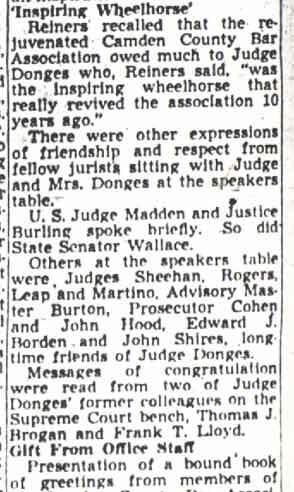 At a hearing before Supreme Court Justice Ralph W. E. Donges in Mays Landing, Fine was declared sane and a new execution date set. 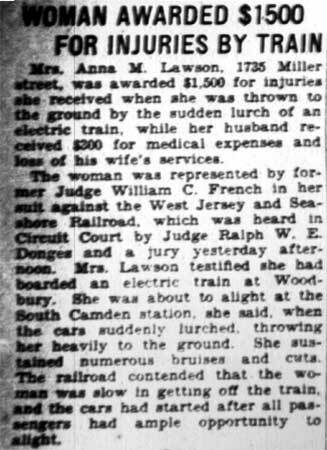 The coming electrocution will set a precedent as far as Atlantic county is concerned for Fine will be the first convicted murderer from that county to expiate his crime in the chair. 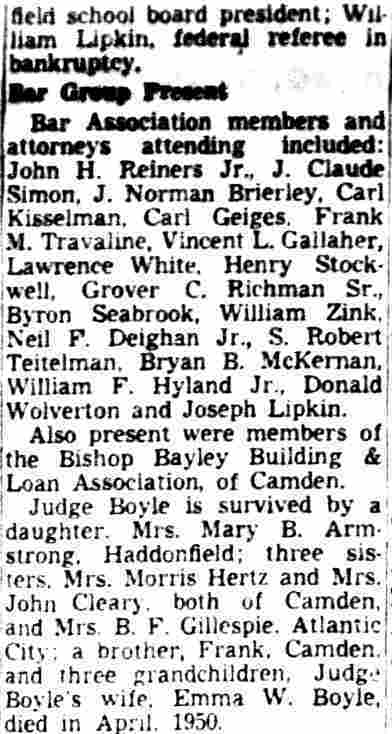 The body of Mrs. Schaaf, which had been shipped from Atlantic City in a double trunk, was found in a Philadelphia rooming house March 7, 1932. Fine was later arrested in Atlantic City at the home of Mrs. Schaaf and he admitted having shipped the trunk for another man but did not know its contents. Trenton, June 10 - Louis B. Fine, 51, but aged considerably beyond his years, is to forfeit his life tomorrow night. 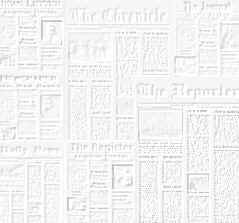 He is scheduled to die in the electric chair, as penalty for the murder of Mrs. Mattie Schaaf, his land­lady, of Atlantic City, whose body was found in a trunk shipped to a Philadelphia rooming house in March, 1932. The former real estate broker will be the first man sent to the electric chair from Atlantic County. In the past 25 years there have been 105 murder trials in that county. Fine was scheduled for execution several months ago, but reprieved temporarily when an effort was made to declare him insane. 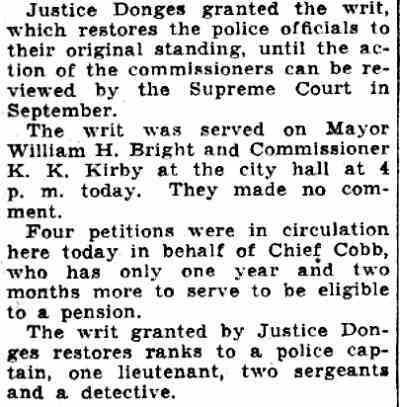 The attempt failed and Supreme Court Justice Ralph W. E. Donges re-sentenced him to death. Court attaches who saw Fine during the sanity hearing at Mays Landing said they could hardly recognize him. The man, they declared, seemed 25 years older than when he was captured. An organization of which Fine is a member is said to be seeking a reprieve and possible commutation of sentence. Little hope is held, however, and Col. Edward B. Stone, warden at the state prison here, has completed arrangements for the execution..
Porter's appointment maintains the five to four Republican majority on the Supreme Court. 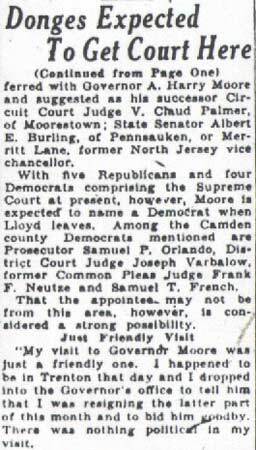 When Moore first took office, it was reported that he would name a Democrat to reverse the balance, but later it was understood that the seat would go to a Republican. 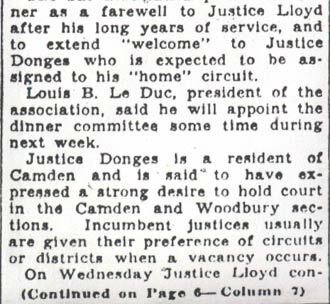 The retirement of Justice Lloyd leaves eighth justices for the nine circuits. Circuit Court Judge Newton H. Porter, of Essex County, has been named by Governor Moore to succeed Justice Lloyd. 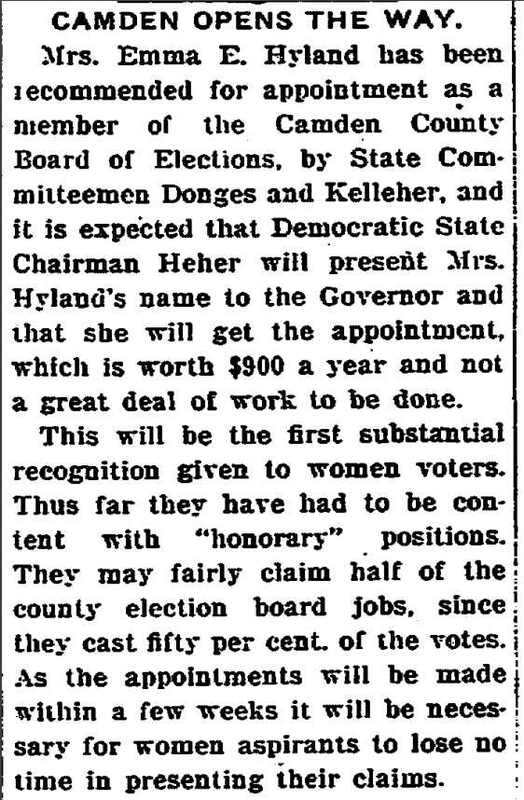 The nomination is before the Senate for confirmation . Camden Lodge of Moose, No. 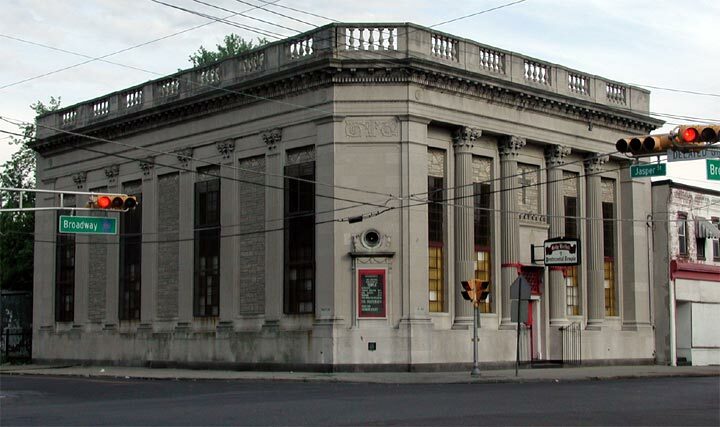 111, will stage the first initiation of its 1938 campaign for new members to­night in the Moose auditorium, 808 Market street. 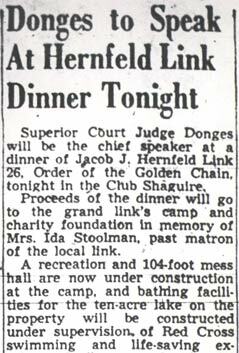 One of the largest crowds ever is expected, with the local lodge playing host to the Hammonton lodge on the same night. fifth anniversary of Mooseheart, Illinois. 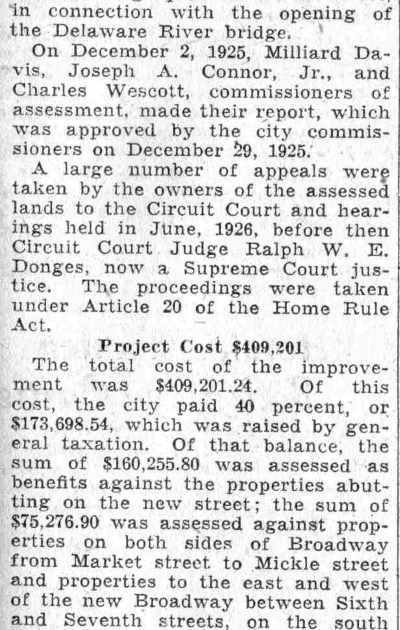 In June, 1913, Supreme Court Justice Ralph W. E. Donges, then Supreme Dictator of the Loyal Order of Moose, dedicated Mooseheart City, now celebrating its silver anniversary. 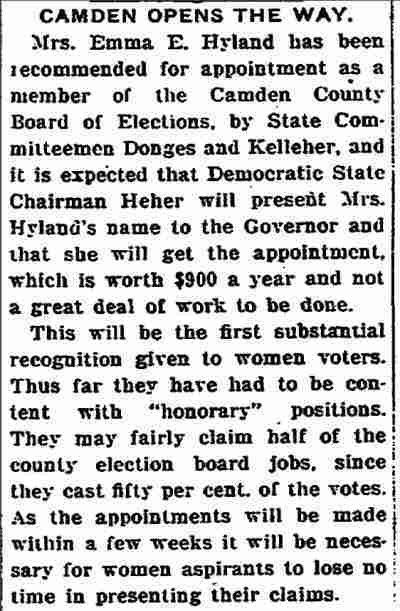 Moosehaven Governor Thomas A. Colsey and Al Rosenheck, past dictator, have been named by Dictator George J. Scherer to head the campaign for new members in Camden. The degree staff and team will be attired in their new uniforms for the occasion and will be headed by Leon B. Heffelfinger, Joseph B. Jones and Charles Hughes. Another feature of the night will be a birthday party for all members who joined the lodge during February of any year. Scherer will call the meeting to order at 8 p. m.
When he was brought home he was told he could not go to school. 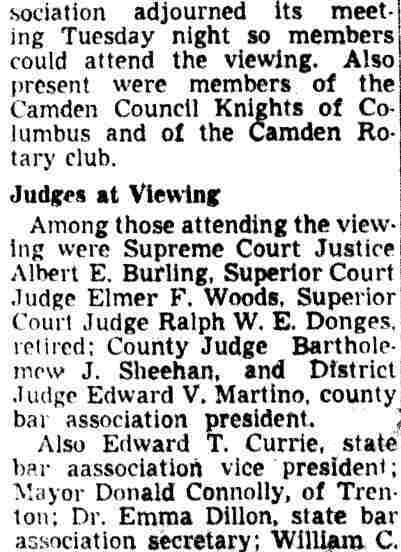 Members of the Camden Board of Education, of which Dr. Lang is president, assigned Miss Clara Mantini to give him home instructions. That was almost like going to school. Joe went back top school and ended the term in the upper quarter of his class, Miss Mantini said.